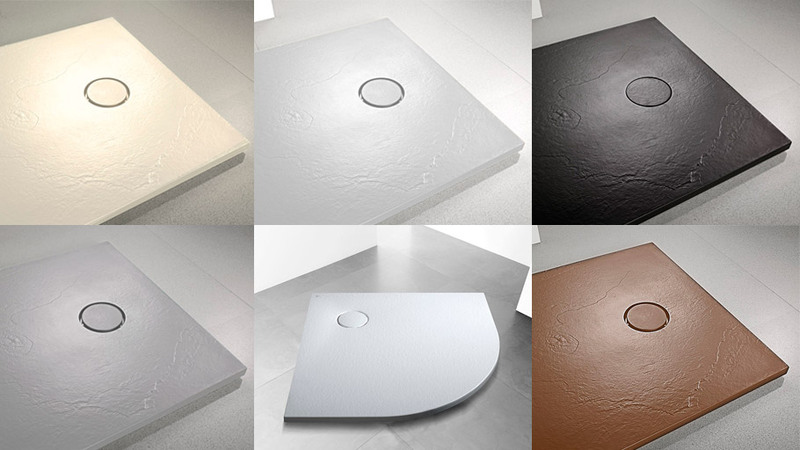 Systempool offers the possibility of introducing different anti-slip textures as well as a wide range of formats and colour tones in one of its latest models of shower trays. The Land series excellently adapts itself to any bathroom by following the latest trends regarding innovation and design. A custom-made shower tray, which together with the Land panel, turns out to be the ideal solution in order to turn a bathtub into a shower. The Land series from PORCELANOSA Grupo’s firm, Systempool, is manufactured with high-quality performance Technical Gel Coat. It is an anti-slip and anti-bacterial material which offers both versatility and customisation, by means of the choice of texture and finish. Among the options regarding texture, the collection presents the Land and Land Stone shower trays. On one hand, the former imitates slate in gloss finish; whilst on the other hand, the latter is based on the granite rock in a matt finish. The Land collection is available in various formats, and has a wide range of special sizes including column cuts, as well as numerous colour tones, ranging from: white, grey or beige, to graphite or taupe. 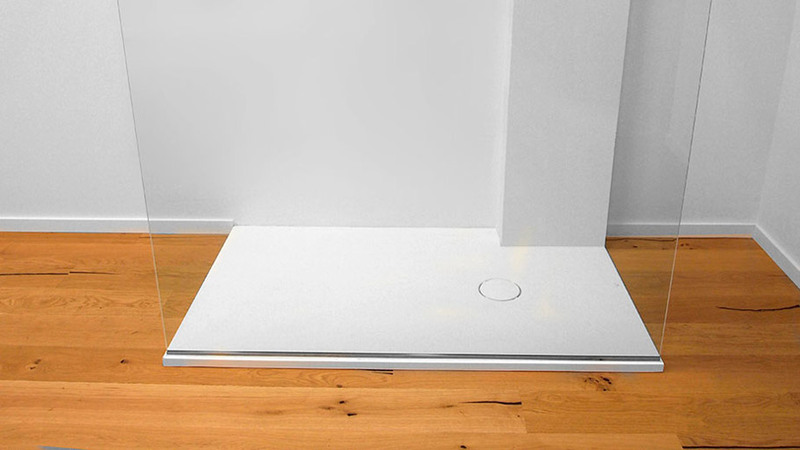 With regard to the installation options, the Land series also ensures several ways as it can be installed on the surface, which turns out to be the most common way of installation; built-in or at ground level, thus, making space uniform and providing it with continuity, as well as facilitating access to the shower. The Land shower trays of Systempool turn out to be the ideal option for replacing your bathtub with an elegant and functional shower. 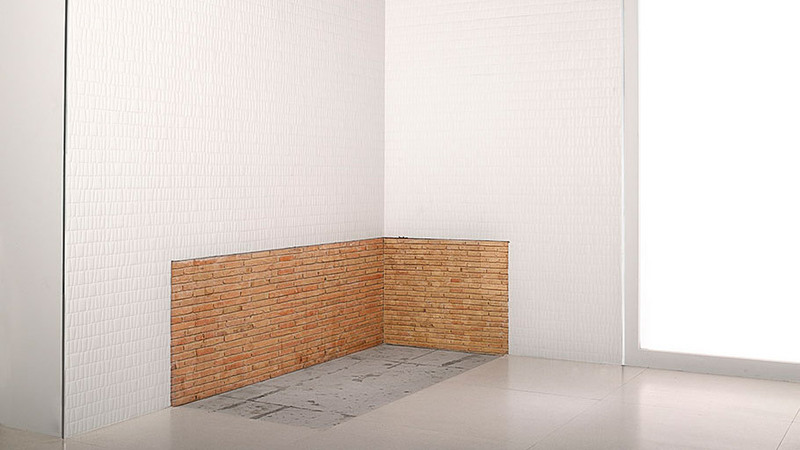 This series also includes some optional panels with the very same texture, colour and format as the shower tray, which allows for decorating the wall in the space where the bathtub was beforehand. 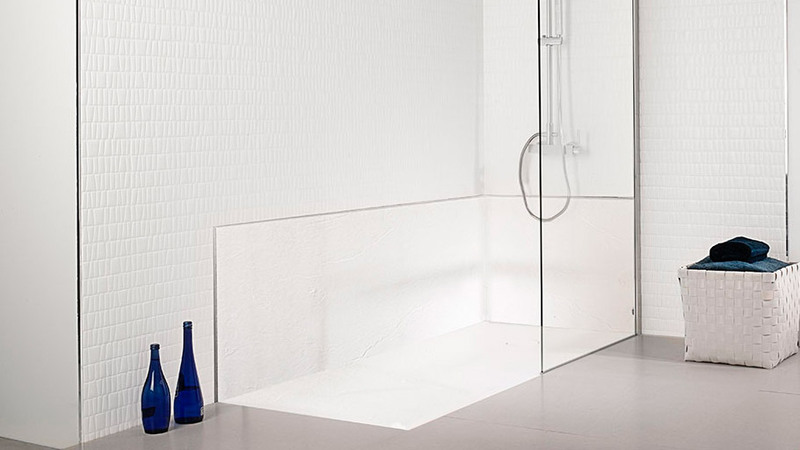 A unique opportunity carried out by both PORCELANOSA Grupo and Systempool which allows for both customising and modernising in relation to the design of your shower.